Michael Lang is a mediator with more than 30 years' experience in the areas of family, workplace, organizational, congregational and public policy disputes. He is a prominant international leader in the field of conflict resolution. Michael has consulted with and provided conflict management trainings to a range of businesses, government agencies, not-for-profit organizations and university faculties. As well, he designed and helped implement a comprehensive workplace mediation program for the US Department of Veterans Affairs. As an educator for the past 20 years, Michael has developed and presented mediation skills and practice training courses, for beginning and advanced students, for court systems, government agencies, mediation centers, and professional associations. He has been a featured speaker at professional meetings throughout Canada and the U.S. and in the UK, Ireland and Trinidad and Tobago. He has held a number of academic positions in addition to being an active mediator. Michael is the founding Director of the Master of Arts Program in Conflict Resolution at Antioch University; he served as Professor and Special Advisor for Program and Faculty Development in the Master of Science in Dispute Resolution Program at Royal Roads University in Victoria, BC; and he co-founded and was a principal instructor in a certificate program in conflict resolution at the University of Southern Maine. 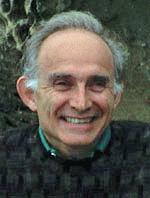 Michael served as Editor-in-Chief of Mediation Quarterly (now Conflict Resolution Quarterly) from 1995-2001, and as a member of its editorial board from 1988-2007. Michael has authored numerous articles on mediation practice and is co-author of The Making of a Mediator: Developing Artistry in Practice, published in 2000 by Jossey Bass Publishers.